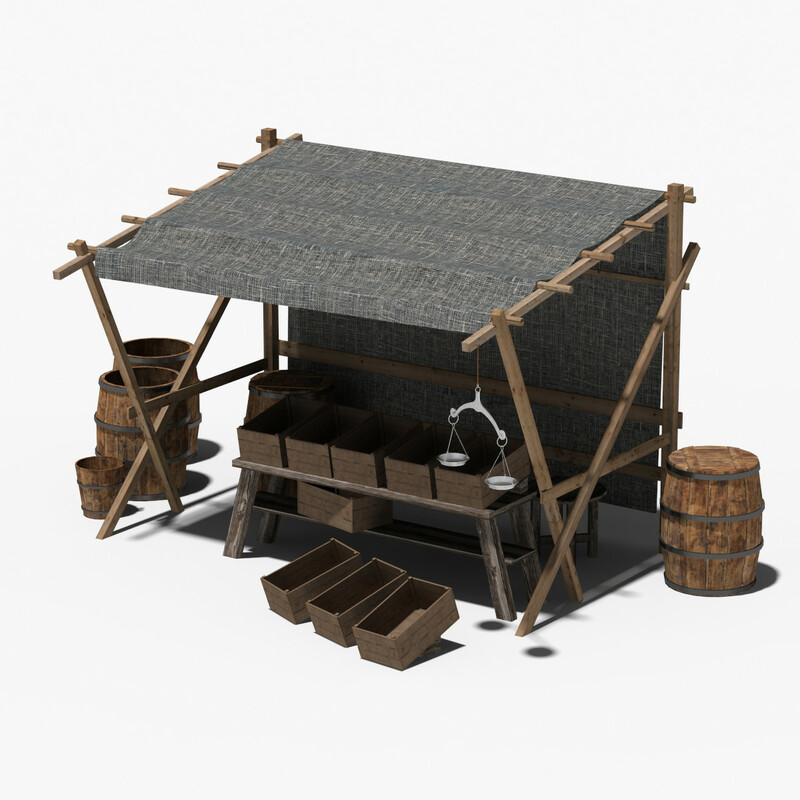 models for use on PC for, what I imagine would be game design. This got my juices flowing and I decided to model her stall after the one in the link, but with more antiquities and oddities (jewelry pieces from the craft store, probably). 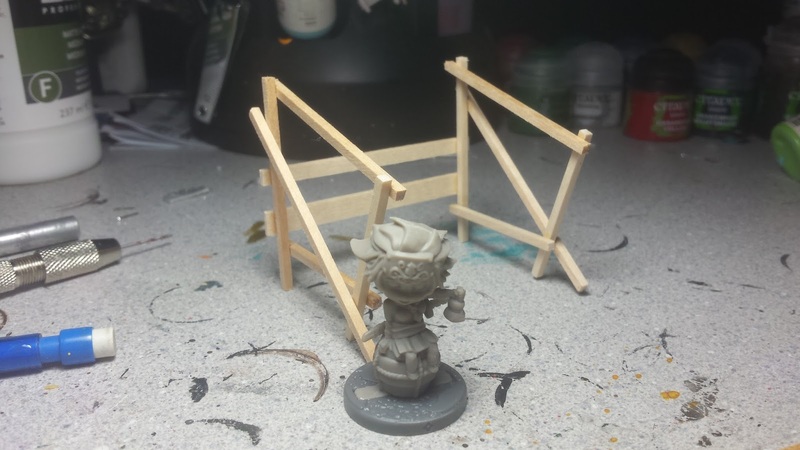 I've never built actual scenery before but this market stall looked like it would be simple enough and I had some wood pieces that would work perfectly for it too. So I started working on it and after a bit of starts and stops and restarts I was able to get the side walls all made. All of the wood is super glued together, but I am going to take some hemp and wrap the joins with it to make it look like it is all tied together. For now though, it is at a stand still until I get some small dowels or brass rod to use for the roof supports. But that'll be a Hobby Lobby trip for this weekend, when I have a bit more time to wander and look at things there.